WC 2014 - Group F: How far can Argentina go this year? In Group F we find one of the World Cup's top favourites to take trophy. Argentina has not been in a World Cup final since they, in 1990, lost to Germany. But this year “Los Albiceleste” are determined to leave behind all bad statistics. Come along and lets take a closer look at Group F.
Argentina and Nigeria represent two of the countries that make up Group F. The two teams have met six times and three of them have been at a World Cup tournament. This year, it will be the third time in a row that the two nations clash. On the other hand, none of the other matches in this group have previously been seen on the big scene. 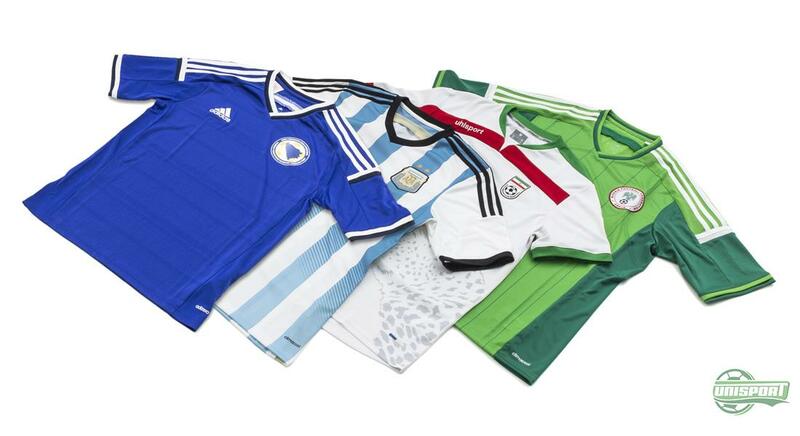 For Bosnia this World Cup will be something very special. It is the first time that the former Yugoslavian nation will participate at a World Cup tournament since they gained their independence in 1995. However, they will hardly have any time to just enjoy anything. They will be thrown in the trenches from the very first round, where Messi, Agüero and Co. are probably not gonna be easy on them. In the second match of the first round, Iran take on Nigeria for just their second clash ever. Their first match took place back in 1998 when they met for a friendly. So, based on statistics, it as very hard to foresee how the first round in Group F is gonna go down. The first nation in Group F certainly doesn't need an introduction. In relation to the World Cup, Argentina is one of the heavy weighters and this World Cup tournament will be the 15th time around for Argentina on the big scene. Argentina have, however, had trouble living up to the expectations that both their own people and the rest of the world always has to the country that has given football Maradona and Messi, as well as a long list of super stars. 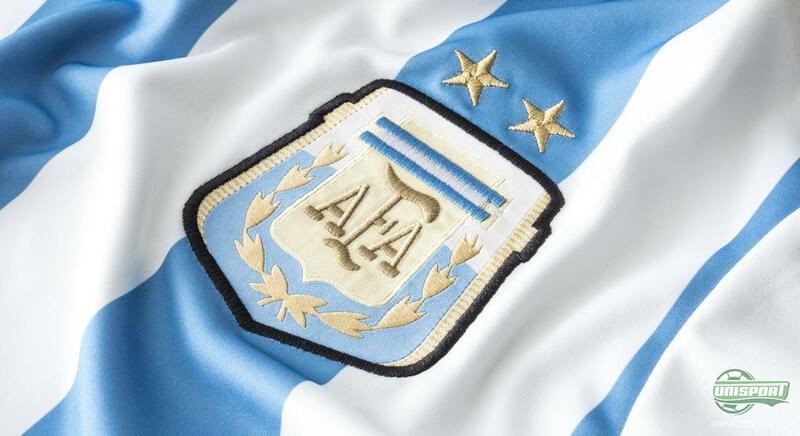 Since the World Cup this year is held in South America with Argentina's neighbours from Brazil, many people believe that “Los Albiceleste” will have a bigger chance of once again lifting the World Cup trophy after almost 20 years of longing. The shirt that Messi and Co. will be wearing at the World Cup also provides a hint of greatness with the golden stripes. Still, Adidas have made sure to prioritise tradition and history above anything else with the characteristic Blue and White stripes for their World Cup shirt. 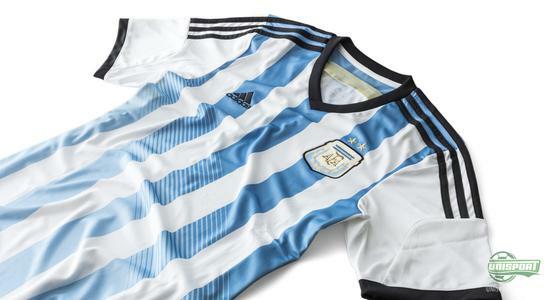 Support Argentina at the World Cup with their national team shirt right here – just 71 Euro. Bosnia, as previously mentioned, are participating at the World Cup for the first time since they gained independence back in 1995. 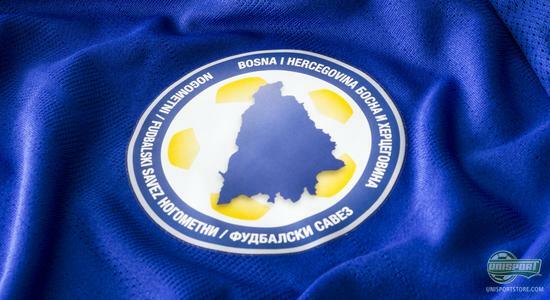 Today, Bosnia have built a national team, first and foremost with the star Edin Džeko as their top name. The country does, however, have more in store than the striker from Manchester City. 22 of their 23 players in the squad are playing in clubs outside of the Bosnian borders, and there is no reason to underestimate this “young” nation, even if it is their first World Cup. Bosnia almost qualified for the World Cup in South Africa, four years ago. In the play-off matches, they lost to Cristiano Ronaldo and Portugal. 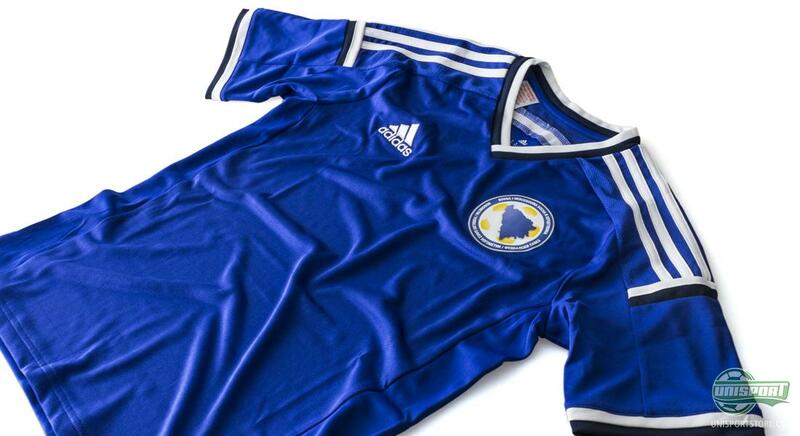 But this first time on the big scene certainly calls for a proper player kit, and in this regard Bosnia have teamed up with Adidas. 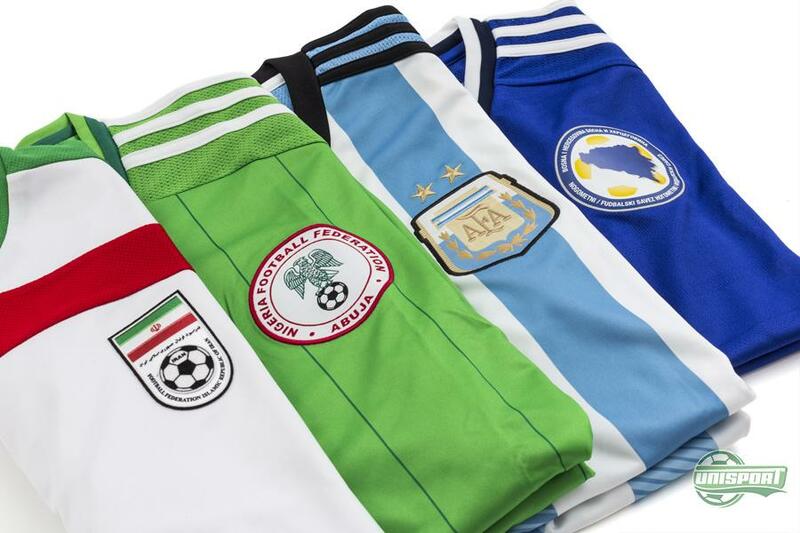 With the new World Cup shirts, Adidas aim to try and encapsulate the pride and passion that the Bosnian nation always carry with them as they take to the pitch. Iran are this year participating in the World Cup for their fourth time. Although, they have never managed to make in on from the group stage and there is no doubt that Iran are going to Brazil with a mission, to fight with all they have in order to write Iranian history and make it through to the round of 16. The Iranian national team primarily consist of players from their own national league, with caption Javad Nekounam as probably their biggest player, with a past in Osasuna, among others, and Dejagah, who plays in Fulham. Whether Iran will break the statistics and fight their way into the round of 16 is hard to tell. 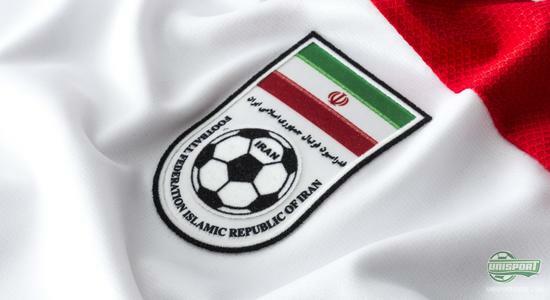 But with clashes with Bosnia and Nigeria, there is no doubt that Iran will both have to bring their A-game and some luck. 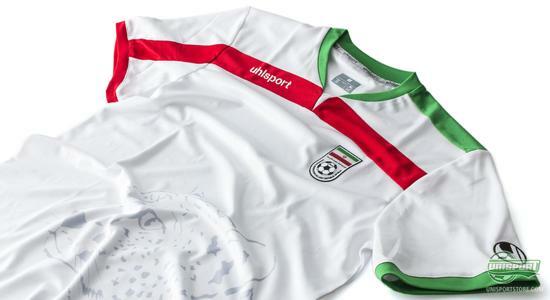 Uhlsport are responsible for the Iranian World Cup shirt that displays the pride of Iran. The key feature must be the cheetah printed in the stomach region, in order to celebrate the endangered species of which there are only about 100 in Iran. The last nation in Group F are from the African continent, and are probably expected to take the second spot in the group. 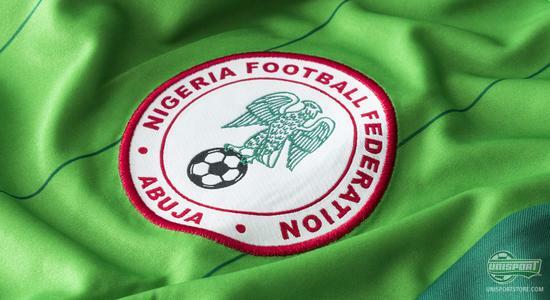 Nigeria have had some issues in terms of finding stability in their results, but since Stephen Keshi took charge of the national team in 2011, it looks like they are finding the right patch. It will be his first time in charge of Nigeria at a World Cup. It is, although, Nigeria's fifth time participating, since they qualified for the first time back in 1994, for the World Cup in the USA. Nigeria will, once again, meet Argentina, who they have been beaten by all three times that the two nations have clashed at a World Cup. All three matches have, however, only produced minor victories to Argentina, and one may believe that Nigeria is going to give it their all to prevent this from happening again. Adidas have made sure that Mikel and Co. can represent their country's colours with pride with the characteristic and extra vibrant greens colours, as we know it from Nigeria. 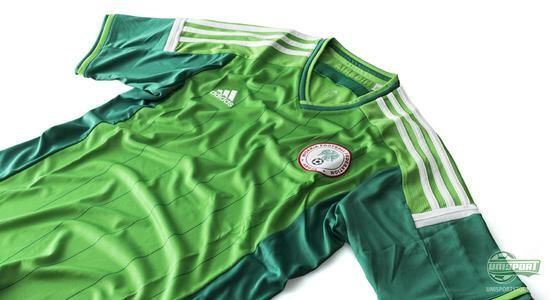 Go ahead and order Nigeria's WC national team shirt right here – just 71 Euro. It first glance, Group F looks like a rather sure bet, at least for the Argentinians. On the other hand, nothing can be said for sure yet, in a group where five of the the six clashes will be for the first time in a World Cup tournament. And we all know what can happen at a World Cup tournament, both in terms of favourites, as well as countries that had already been written off. How do you think Group F will develop? Take your football passion to a social level and leave a comment on Facebook or Instagram.